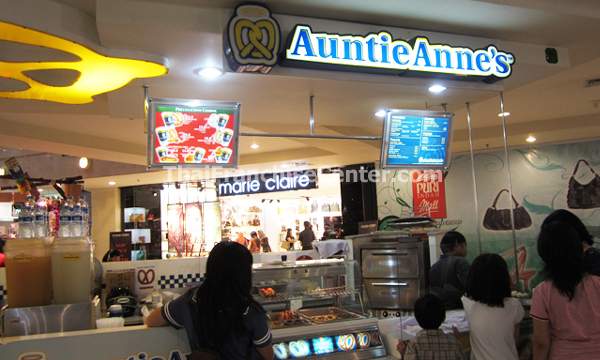 Auntie Anne’s was founded in 1988, a chain of pretzel bakeries that gives franchise / waralaba in bakery industry, including Indonesia. Founded by Anne F. Beiler, Auntie Anne’s have many products like pretzel, dips, and other deserts. They also have some beverages menu like lemonade, “Dutch” ice, and coffee. Auntie Anne’s has been franchising since 1989, and we now have over 940 locations worldwide. Auntie Anne’s receives thousands of franchise inquiries each year from people interested in learning more about the franchise opportunities. Auntie Anne’s is looking for business partners, their commitment to operating and product quality. The franchisee, exemplify those characteristics one day can be found in the auntie Anne’s franchisee Spotlight. For complete information about the franchise opportunity, you can contact them at Information Request Form.